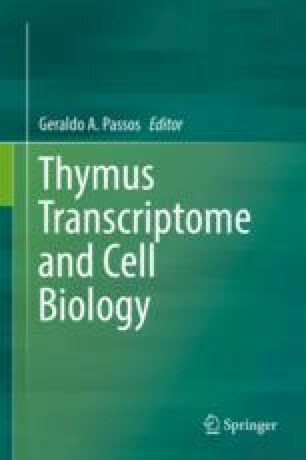 T cell development in the thymus requires constant interactions between developing thymocytes and the surrounding resident stromal cells (TSCs). These functional, non-hematopoietic-derived cells are predominantly of epithelial origin and constitute 1% of total thymus cellularity. Thymic function and naïve T cell output are optimal in humans during the early years of life, but decline sharply after the first years of life and further after the onset of puberty, with progressive contraction of functional thymus tissue. The loss of thymic epithelial cells (TECs) eventually results in an altered microenvironment that affects normal T cell development, reducing naïve T cell output and contributing to the overall demise of immune functions. Other extrinsic factors that exacerbate the effects of thymic involution include cytoreductive conditioning regimes in the context of cancer treatments and hematopoietic stem cell transplantation (HSCT). In these scenarios, elderly patients are incapable of full immune recovery. With such complications present, we describe herein various preclinical approaches that could lead to potential new treatment strategies to restore thymic function and, more importantly, T-cell mediated immunity following clinically induced damage (Fig. 13.1).